' Fischerspooner are the best thing to happen to music since electricity' gushed NME, upon the re-issue of this album in 2002. Whilist 'Emerge' did become a minor chart hit, the duo of Casey Spooner and Warren Fischer (hence the name, yes?) never quite got the acclaim they deserved. Maybe it was because of the fawning critical praise that turned to embarassment rather quickly, with Casey's larger than life comments (He famously was quoted as asking who he would need to offer, er, sexual favours to to get on the cover of the aforementioned magazine. The act were seen as being part of 'Electroclash' , that much maligned elctronic sub-genre, still sneered at by certain people, not impressed by the massive deal with Ministry of Sound for a record deal. It seems that people let the image get in the way of the music. Certainly, it was the sheer joy of hearing this album that opened me up to more 'electronica' type sounds, and 12"s by the likes of Felix Da Housecat, Playgroup and Tok Tok Vs Soffy O started appearing in my record collection not long afterwards. Listening to this album in its entirety reminded me, not only of how good it is, but how it belongs to a line of great Electronic albums that would include Kraftwerk's Trans Europe Express, New Order's Power, Corruption and Lies and the Chemical Brothers' Surrender. Records you can dance to, with a darkness there, and a punk energy that the band were briefly praised for, though then sneered at. 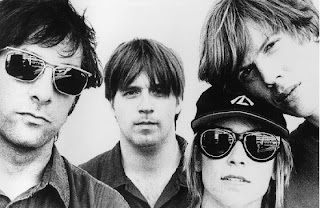 the prevailing mood in music at the time was the so-called 'New rock' revolution, and back in 2002, the likelihood of either 'New Rave' or even that a Post-Punk revival could be commercially successful seemed unlikely. This album has dated well, and like many albums may have suffered from being in the wrong release date. Ah well. well, well and truly back in Scotland, it's the weekend...so how about a few covers? REM-'Toys In The Attic.' mp3 (Aerosmith). 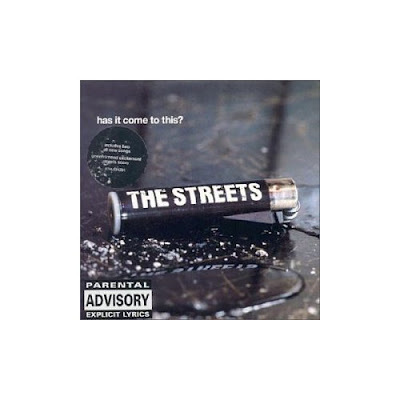 Back in 2001, before 'Dry Your Eyes', when Mike Skinner wasn't famous, The Streets put out a fantastic single. It sounded a bit UK garage -and believe me, that was a genre I didn't get into - but it was the way the words summed up life in London that was less 'bling bling, look at my me with money, cars and guns' and more 'this is the day in the life of an ordinary London bloke'- and was all the better for it. The phrase 'Urban' was rarely more appropriate than with this single. The single turned up on the debut album 'Original Pirate Material', as did one of the b-sides, 'Geezers need excitement.' It was songs like this that led very quickly to Mike Skinner being talked about as a new poet Laureate. Then, on the second album, he showed you could do a concept album that could a) not be about Goblins or Wizards and b)Actually be good, you know, with proper songs and stuff. These links will be up for one week only. If you like what you hear, go and buy the debut album 'Original Pirate Material' ideally from your local independent shop. The single can still be picked up at Amazon pretty cheaply, too. Well, in two days time we'll be getting married. The future in-laws have arrived in Edinburgh, my folks are arriving later and we're both excited and nervous. A few years back, when still working in a record shop, I was asked by one of the bosses if I could pick up a record on Sub Pop for him when I went to New York. Sure, I said. 'You won't forget this one,' he said, 'It's Called 'Stabbed in the face.'' Well, no, I couldn't forget a record title like that, nor could I ever forget it once I had heard it. Wolf Eyes sound like the most terrifying thing you can imagine. They make Slayer sound like the Cocteau Twins, and yet...I find myself absolutely mesmerised by the noise they make. SunnO))) are another band that look terrifying, and sound terrifying...and yet, oddly beautiful. 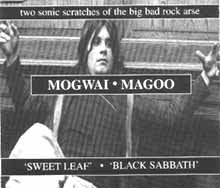 Their biggest inspiration is Earth, who I would desperately love to hear some stuff by (recently went into a record shop, they had an immaculately packaged album that was £30). Here are two tracks, one that is just them, another from their collaboration with Japanese band Boris, that I heard originally over at AmpCamp. ...as did this track from seminal post-punkers This Heat. I've put these in together, because they do belong together, sort of. It's heartening to see in an age when so much stuff brands itself independent, be it in sound or attitude, that the spirit of that much (ab)used adjective lives on. One band who truly exemplify the independent ethos, in a very twenty-first century way are Swimmer One. 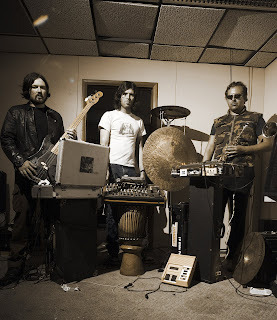 Not in a pathetic, snobby way, but independent in that not only do they run their own label, Biphonic, but they play live when they want to, and all on their own terms. Andrew Eaton and Hamish Brown still hold day jobs, Hamish as a writer for a scottish newspaper. After years of rock-stars who are so up their own backsides, who ooze fake modesty and arrogance out of every pore, and think 'meaning it, maaan!' is ripping off Johnny Rotten circa 1977, Swimmer One in the own words of their debut release 'we just make music for Ourselves.' And they really do mean it. Four years have passed since they put out the aforementioned single, and it's equally brilliant follow-up 'Come on, let's go!'. 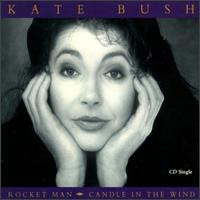 In that time they have also put out a digital-only single 'Largs Hum/Cloudbusting' the latter a cover of the Kate Bush song, and featuring guest vocals from Cora Bissett. This September will see the release of their debut album The Regional Variations. I ask how come The Regional Variations has taken so long. He groans, politely, and I feel bad for asking. 'It takes time to get things right,' he points out. With both him and Hamish having full-time jobs and living in different cities it's clear that this is not a band like The Beatles in Help! ' If you add up all the time [that they have spent making the album], it's probably only a few months.' He is at pains to point out that it's not like The Stone Roses' Second Coming, which was years in the making with the band working flat-out on it, or Chinese Democracy, the Guns'n' Roses album, first scheduled for release over a decade ago. 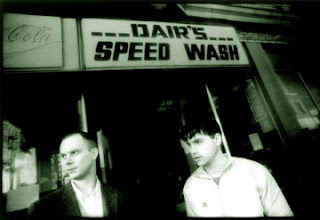 One of the many things about Swimmer One that I love is their website, which is fantastic, not only just for finding out about their music and biography, but also for Andrew and Hamish's writing. 'Largs Hum' which works it's way around Scotland, is described as an attempt to create a Scottish conspiracy theory (see more here). I can't resist asking him whether he thinks that Scotland needs more conspiracy theories. 'I said it in a slightly throwaway way!' he says, slightly bemused. But he goes on to explain what the Largs Hum is. 'It's low Frequency Noise which gives people headaches. It's a metaphor for people feeling that they're going mad, and people not believing them. 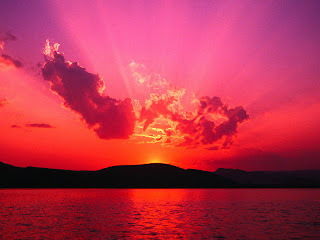 It's one variety of the 'hum' which happens in various places around the world.' 'Conspiracy theories always have holes in their theories that they fill with paranoia,' he observes. Scotland has always had a very fertile music scene, removed from London, which has been much highlighted over the last decade, particularly due to Belle and Sebastian and Franz Ferdinand. Does he see Swimmer One as being part of a scottish scene? 'Not really! We just sit in our cupboard and make music.' Andrew adds that when people talk about the scottish scene, they are usually talking about Glasgow, rather than Edinburgh. 'There's a sense of community in Glasgow.' He mentions the Reindeer Section, the Glasgow indie supergroup helmed by Snow Patrol's Gary Lightbody, until Snow Patrol went massive, and he doesn't see Swimmer One as part of this. On the band's website, he talks about a dream he had about Orchestral Manoeuvres In The Dark. Does he worry about how success might affect Swimmer One? 'We're a long way from having that kind of success! The bands we admire are pop bands doing it on their own terms.' He cites Roxy Music and Pulp as examples of this. 'They did it on their own terms. Everybody else came to them. OMD did dilute what they did. They made the decision to sell lots of records. After Dazzleships [OMD'S fourth album), they seemed to lose their way.' My anxiety [in the dream] was that I was too hard on them. I had this picture of them being quite frustrated artistically. Maybe they really like those records,' he says thoughtfully. As a journalist, he interviewed Pete Waterman. His comment on this shows Andrew as the thinker he is, rather than as a jaded, cynical hack, or snobby musician. 'He loves music, he just has very conservative taste.' We talk about how Stock, Aitken and Waterman, who are still viewed as pariahs, were responsible for some fantastic singles, Bananarama's 'Venus' and Dead Or Alive's 'You Spin Me Round (Like A Record).' Great Pop Songs, that didn't need to be cool, they just were. 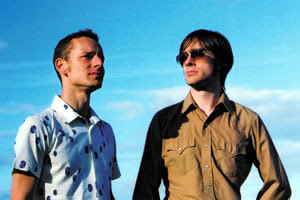 Andrew says that there probably won't be any physical singles off The Regional Variations, though he mentions that he has a great idea for 'Balance Company' one of the tracks on their MySpace page. The 'short films' made for their first two singles were brilliant, and I can't wait. Swimmer One. Independent in the truest sense of the world. Making Music For Themselves (but we're privileged to hear it). Refreshingly anti-snob. This is how music in the twenty-first century should be. Swimmer One's website is here and their MySpace is here. To hear four tracls off their album go here and to download the 'Largs Hum/Cloudbusting' single for free from Dogbox records, go here. OK, you know the drill...these mp3s will be up for one week only. If you like what you hear, support the artists involved, preferably through an independent record shop. Bush had long been an admirer of Elton John, and understood - as I hope you do - that the man has written some fantastic songs. Whatever else is written about the man, in his lifetime he has written songs that are fantastic. Sure, he's been responsible for some drivel (Nikita, Runaway Train, Can You Feel the Love Tonight, Candle in the Wind '97 was abominable, but then at least Elton didn't jump the shark after his second album (hello Oasis)). So, given that an up to date Kate Bush best of has yet to appear (yes, I know there was The Whole Story, but that was 1986) I present the two covers she recorded. Oh, and a fanastic Elton Song, that made the soundtrack of Almost Famous, and was also covered by Ben Folds. These links will be up for one week only. Enjoy, and if you like what you hear, support the artists through your local record shop. * The album in question was called Two Rooms. I don't own it. Granted, this may seem like the oddest one to put in this ongoing series, given that there are people out there who really love this album. It's my favourite album of the nineties, and I know others who feel as strongly. Yet there are those who have dismissed it. Q magazine listed it in the 100 top follies of all time. I don't see it in those lists of 'Greatest albums ever as voted for by a handful of people who are persuing an agenda.' Oh, the band were not terribly keen on it either. For a time in the early nineties, Suede were the indie band. They were covered by Morrissey - debut single 'The Drowners' b-side 'My Insatiable One' was in his set before many people had even heard of Suede, and singer Brett Anderson was interviewed with David Bowie very quickly. Their debut eponymous album enetered the album charts at no.1 in the spring of 1993, and the band swept readers and writers' polls. Then 1994 happened. Kurt Cobain took his own life, Blur released Parklike and a former roadie for the Inspiral Carpets called Noel Gallagher emerged with his little brother Liam in a band called Oasis. who would be with the band until their demise at the end of 2003. It's a pity all this overshadowed the relase of what is a stunning album. Lushly orchestrated, and with Brett Anderson's fantastic lyrics. The album was darker than their debut (a friend of mine once pointed out that had this album come out in 1984, Suede would have been considered a 'goth' band). Tales of isolation in suburban life, love, and being young...as well as hints of drug use, which would only be explained in subsequent years. 'The 2 of Us' is the album's highpoint, but the clser 'Still Life' was the sound of a band at the height of their powers. Brett Anderson eventually accepted it was the fans' favourite album by the final tour, and when the band played the album in its' entirety in London in 2003, tickets were changing hands for £1000. On a personal level, seeing Suede on the tour in early 2005 at the Leicester De Montford Hall was the start of regular gig-going, and the t-shirt is still worn with pride twelve years later. The album had three hits, but impressively, the epic tracks could have been singles too. For your enjoyment, I recommend the following non-album cuts, before going to buy the album from an independent record shop (Amazon only have one copy in stock at the time of writing). These mp3s will be up for one week only, but you really need this album in your life. A possible new series at 17 Seconds. Say what you like about Britpop-and it's been analysed many times over the last deacde and nearly a half-but the bands understood the point of the single. 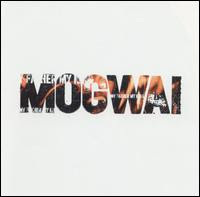 Including-and this was perhaps a sign that they hadn't all forgotten their 'indie' roots- the inbetween albums single. Not to be included on any album until the greatest hits/best-of album. Oasis first used lots of strings without getting syrupy on 'Whatever' in late 1994, when (What's the Story? )Morning Glory was still nine months off release. 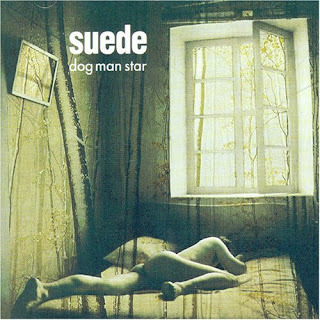 Suede showed hints of epicness (but about the only hint of what their second album might be like with 'Stay Together.' Blur had been around for a little longer, and got theirs out of the way with 'Popscene' in early 1992 (and refused to put it on their greatest hits in 2000). 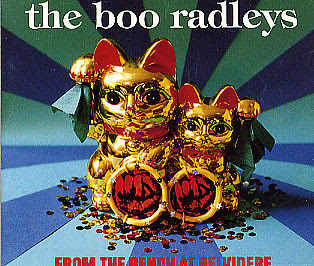 The Boo Radleys delivered a wonderful ballad called 'From the Bench At Belvidere' in Autumn 1995 (in the UK, anyway). It's not poppy enough to belong on Wake Up! and not mad enough to have been on C'Mon Kids. It is still very, very lovely and almost forgotten about. But hey. Instead of a celebratory 'School's Out!' (term finished for six and a half weeks today. 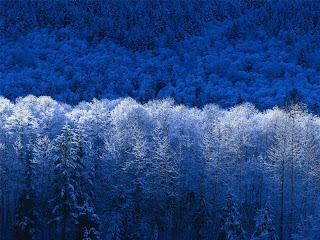 Hooray), let's have something beautiful. Oh, and one of the b-sides, obviously. 'From The Bench At Belvidere' is available on the recent 'Best Of' relased on Camden in the UK. Buy it here but try and see if your local independent record shop has it in first. These links will be up for one week only. Ok, I'm going to be honest. I'm not an expert by any means on Grime, so if you're hoping for a deep insight on MCs, then you have come to the wrong place. However, I know what I like, and frankly the stuff I have heard from Wiley is fabulous. I have struggled to find a decent picture to post, so apologies. However, last month, Wiley made the front cover of The Wire, and has a new album out, Playtime Is Over. I picked up a recent 12" '5050/Bow-E3' and have now a few mp3s for your pleasure, bought from emusic, as well as an earlier track from 2004, courtesy of The Wire website (which is fast becoming my favourite magazine and associated website). As always, these mp3s will be up for one week only. If you like what you hear, go and buy the album, preferably from an independent record store. And let me know what you think! Have been trying to work out what songs remind me of Fopp, whether it was things that I bought there as a customer, or remember from working there. Seven years of going makes it too hard to narrow it down that much, but this is a selection. As always, if you like what you hear, go and support your local shop, we do not need any more repeats of this. The photo above is one of the stock photos on my computer. It may be July now, but in Scotland it is still raining and still cold. Grrr. Or should that read Brrr? Anyway. Here are some cover versions for Monday. These tracks were originally recorded for Radio 1, Some on a compilation called Evening Session Priority Tunes and the rest are from a compilation called Radio 1's Live Lounge. As always, these will be up here for a week. Get them while you can.